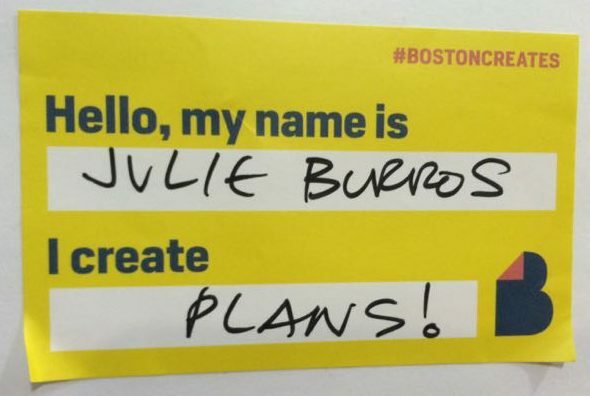 After the release of the Chicago and Boston plans, I regularly checked in with colleagues in other cities who were creating or implementing cultural plans. We supported each other, swapped war stories, and compared battle scars. When I taught cultural planning and policy at DePaul University, I assigned my students a project: pick a cultural plan completed at least five years ago and research if (and how) it was implemented. Sadly, they found scant evidence of implementation. 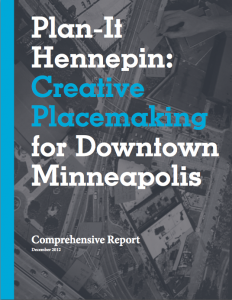 I’ve continued to ask everyone I meet whose work touches cultural planning: “What do you consider a successful plan?” and “Which plans have been implemented?” This ongoing anecdotal research continues to yield disappointing results. We’ve found few metrics by which to measure success and that few cultural plans are implemented. Many share my conclusion that there’s a lot of room for improvement in the field of cultural planning. Tom Borrup’s recent work: Cultural Planning at 40, a survey of 50 agencies that have completed cultural plans in the last several years, adds more empirical evidence to this discussion. Through the cultural planning practice I now lead at Metris, I’m passionate about addressing these disconnects. I begin with the upfront framing work. I channel my inner Dr. House and probe what the client really wants to accomplish, what success looks like, and who is going to do the work. Because I was the client, I know how important this is. I worked with a lot of consultants, and I made a lot of mistakes. Now that I am on the consulting end of the work, I vow to create plans deeply informed by my experience creating and implementing cultural plans. I want to help others learn from my mistakes. I want to help clients understand the value and pitfalls of working with consultants. I want to help them create implementable plans that result in stronger, more vibrant and equitable creative communities. How do we do it? Embrace the creative process. Understand the value of research and adopt an iterative approach to planning. Create plans that remain relevant. Address equity head-on. And, devise methods to evaluate how goals are achieved. I see those as the most important improvements we can make to cultural planning. The cultural world recognizes and values process, and most planners also recognize the process as an essential element of creating a cultural plan. Creative endeavors often feature an iterative process. Take theater—you have rehearsals, workshops, revisions, re-writes, edits, and previews. I like to think of the extensive public participation that is the hallmark of cultural planning as analogous to the creative process of artistic endeavors. 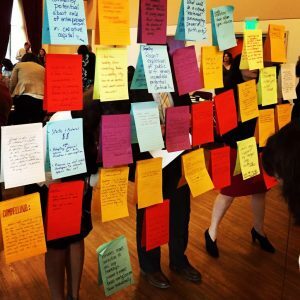 In Boston, we worked with artists to co-design a creative, multi-faceted engagement process, fully adopting a process-centric approach. Artists helped to design engagement methods that include those who are not in the habit of attending public planning meetings, such as youth and non-English speakers. 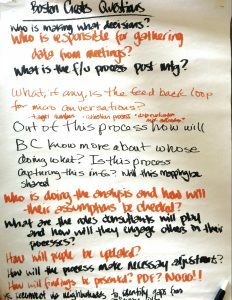 The process not only informed the plan’s content, but it also modeled the kind of collaboration that is required to implement a cultural plan. I witnessed how participants made valuable new connections and got inspired by generating new ideas. I heard stories for years afterward about how the planning process helped to foster many collaborations among those same participants. This was in addition to how the participants informed the plan’s content. Yet I have also observed that the emphasis on process in the arts and in cultural planning is at odds with government approaches and the values of the business world. They place a higher value on results and output rather than process. They often disregard the many benefits of a public process informed by creative practice. This can make it much harder to find the support, time and funding that you need to carry out a creative, inclusive, and equitable planning process. For culture, we can never forget that the process itself has tremendous value. I often start a planning process by asking, “What do we know?” and “What do we need to know?” One client recently told me “We don’t know what we don’t know.” It took a while to unpack that one. There is no substitute, at the beginning of the process, for data that helps to clearly lay out the assets you have and articulates the real challenges you are trying to address. Too often I’ve found that we begin planning before we have a sense of baseline conditions. I believe that doing the essential research before you plan greatly improves results. Starting with research might mean planning gets delayed and timeframes need to shift. Although that can be frustrating, when we don’t do our research first, later implementation efforts get stalled by the need to gather information that we should have known from the get-go. This carries over to how we can best sequence our planning work. Ideally, we can be deliberate about what comes first, such as research and benchmarking; then what comes next, such as engagement; before we move on to the next task in the planning process. Given the importance of thoughtful and strategic sequencing, I believe that smaller, more iterative approaches would be more effective for many. Start-up cultural councils or smaller towns that face capacity constraints could particularly benefit. This approach allows time to develop capacity, clearly identify gaps, build consensus, and then move to the next step. I’ve also read many plans that cite equitable access to creative opportunities as a goal, and yet it’s rare to see access defined and assessed, and few data sets that one can access to measure just how inequitable our sector has become. Most cultural plans cover a ten-year time period. In my experience, cultural plans stay relevant for a much shorter amount of time. I got to wondering “Where did the standard ten years come from?” I suspect we can blame urban planners, given that comprehensive planning often occurs on ten-year cycles. Multi-year transportation and capital planning budgets or regulatory mandates may drive this trend. Cultural planning differs considerably. We need to have much more realistic timeframes for cultural plans that accommodate the fast pace of change in communities and the cultural world. State arts agencies, and most arts organizations, update their strategic plans every five years. Cultural plans that address the next five years, at most, would better reflect today’s real pace of change. I admit this means we need to plan more often, but then each plan does not have to do quite such heavy lifting, and I suspect we will be more effective in our efforts. I see plans that aim to address big issues in the cultural sector, ranging from sources of funding, shrinking audiences, youth development, jobs and economic development, cultural tourism, and housing and facilities. Yet those same plans often give short shrift to the massive systemic racial and cultural inequities that are at the root of these same issues. Borrup’s Cultural Planning at 40 survey respondents noted a widespread sense of remorse that their cultural plans did not more fully address social equity. Borrup notes that “…one area where cultural planning outcomes fall surprisingly short is in cultural equity. Many seem to see cultural equity as a goal, yet it ranks lowest among the outcomes.” This sense of remorse perhaps motivated Policy Link to create a comprehensive toolkit for developing a cultural equity plan. And on a very optimistic note, Oakland’s new cultural plan takes this concept further than any other cultural plan I’ve read. Both works will have a big influence on the next wave of cultural planning. Many people ask me to name exceptional or successful cultural plans. In my opinion, a successful plan is one that gets implemented and one which positively impacted the cultural ecosystem. As I noted above, I have found very few examples of plans that include a method for measuring the degree to which it is implemented, or its goals are reached. The survey results in Cultural Planning at 40 also cite a lack of metrics or indicators to measure if a plan was implemented or if any planning outcomes were measured. We need to write plans with goals that can be measured. And we also need to devise the measurement tools for tracking cultural plan implementation. That is why I am so glad that my work is now part of Metris Arts Consulting. Metris is one of the only arts consultants with the kind of evaluation expertise to create frameworks for evaluating cultural planning progress and successes. While still in Boston, I discovered Metris’ work to create indicators for tracking the long-term success of a cultural district— it was a revelation. I once heard a colleague (props to Tracie Hall) use an apt metaphor that has always stayed with me: doing a cultural plan is like taking your car for a diagnostic: it tells you what is wrong, what can be fixed, but then you have to do the work, fix the car. You repair what is most critical first, what you can afford, maybe you need to do it in stages. But the act of creating the plan doesn’t fix what’s wrong. The plan itself is not the fix, but it helps you find the way forward. So, let’s move the field forward, let’s create better plans. 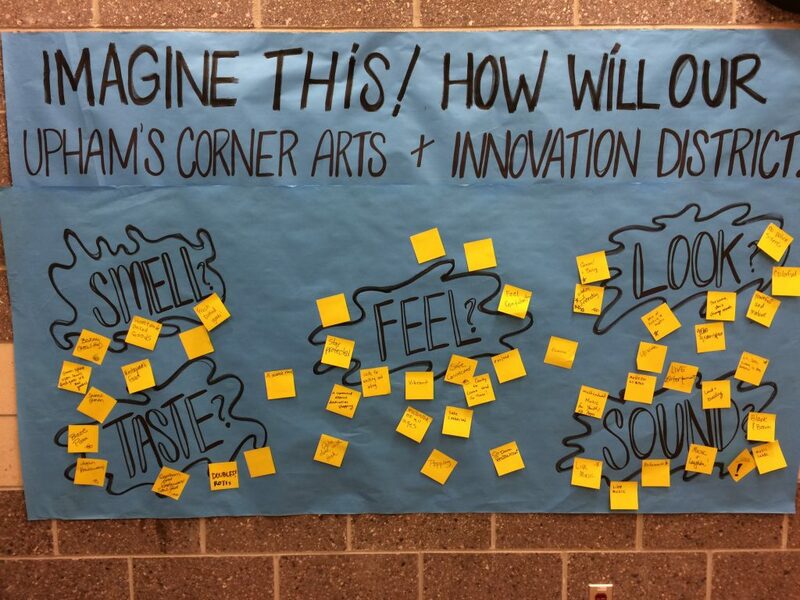 This entry was posted in Creative Placemaking, Cultural Plans. Bookmark the permalink. Excellent manifesto! I appreciate the list of internal approvals, processes and authorization levels inherent to planning and the lack of metrics for success. Congratulations on your past work and current endeavors. Your vision and experience in Cultural Planning is greatly needed! After I originally commented I clicked the -Notify me when new comments are added- checkbox and now each time a comment is added I get 4 emails with the same comment. Is there any way you may take away me from that service? Thanks! Are you still getting emails? I can work on troubleshooting this today if it’s still an issue. So sorry about that!